May 27, 2018–How Do You Know? When it comes to your faith, who have been some of the most important people in your life? What about them has made such a difference? In 1651 a London tailor named John Reeve, claiming to have received a special message from God, started a small Protestant sect along with his cousin and group spokesman, Lodowicke Muggleton. They were known as the Muggletonians, and a recent online article from National Geographic outlines how this staunchly anti-scientific group mapped the cosmos. Against all evidence to the contrary, the Muggletonians insisted that the Earth was the center of the universe around which the sun, moon, planets and stars revolve. They based their views on a literal reading of the Bible, and yet now, thanks to the knowledge we have gained through scientific inquiry and space-age technology, we have a vastly different, more accurate picture of the universe. Among other things, this story highlights what remains a lively debate between faith and science, especially when it comes to the question, how do we “know” what is real and true. How does science help us to know about our world? What sorts of questions do you think are best answered by a scientific approach? What kinds of questions are best answered by faith and Scripture? Do you think one of these approaches is more true than the other? Why or why not? How do we come to really know another person? Is the “data” about them (height, weight, eye color, ethnic background, etc.) enough? How, do you think, we really come to know who God is? Sometimes it is easy to forget that there is more to the third chapter of John than verse 16. Few verses are as well known or have such wide appeal, and that can make it difficult to really “hear” the rest of this reading, because, like gravity, John 3:16 pulls us forward. Yet, this week is Holy Trinity Sunday, so what might this passage say to us about who God is? For starters, it is helpful to begin “in the beginning” with the Prologue to John’s gospel account. Just as John 3:16 is a summary of the “good news,” the first 18 verses in chapter 1 are John’s summary of what is about to unfold. Here it is, for instance, that we hear of the living Word who existed with God before even time. “All things came into being through him,” John says. This Word then “became flesh and lived among us” in the person of Jesus of Nazareth. He is, as John tells us, “God the only Son” who is close to the Father’s heart, and who makes the Father known. Having the Prologue in view, we are ready to listen to Jesus’ conversation with Nicodemus in John 3. Nicodemus, a Pharisee and Jewish leader, comes to Jesus secretly one night seeking greater understanding of who Jesus is and what he is about. “Rabbi,” he says, “we know that you are a teacher who has come from God; for no one can do these signs that you do apart from the presence of God.” The great irony here is that Jesus has indeed “come from God,” but in a way that transcends what Nicodemus has in mind. Likewise, Jesus’ response to Nicodemus goes beyond his expectations. What emerges is a glimpse of the role of the third person of the Trinity, the Holy Spirit, in the double-sided new birth of baptism. For baptism both brings us into the visible community of Jesus’ followers and is the means through which we receive the new life of the Spirit welling. As Jesus explains to Nicodemus, without being born from above (or born anew), one cannot even see God’s kingdom, let alone get into it. What’s more, it isn’t simply that this gift of new birth is being poured out upon one group of people – it isn’t just for the children of Israel, for example. “The wind (or the Spirit) blows where it chooses,” Jesus says in verse 8. You cannot lock the Holy Spirit up. As last week’s celebration of Pentecost, and indeed the whole book of Acts, demonstrates, no one human family, tribe, organization, or nation can contain the Holy Spirit; the Spirit moves and works faith where and when the Spirit wills. Finally, to Nicodemus’ continued puzzlement, Jesus returns to the question of who he truly is and how he knows these things he is talking about. Here again, John 1:1-2 and 1:18 are in the background. Pointing Nicodemus back to the story of the bronze serpent in Numbers 21:1-9, Jesus then points him forward to the cross. The cross, an instrument of torture and death, will become both the greatest display of the Father’s love for the world, and the means by which the Son will bring the world, and us, salvation and new life. It is important to remember that, historically, the doctrine of the Holy Trinity did not take shape as the result of logical deductions about an esoteric, abstract truth. Rather, our faith in a triune God is rooted in the concrete experience of a God who loves and heals us in a triune way. Christians come to “know” God as Trinity in the relational experience of how God is for us. This week we get a glimpse of this as the work of the whole Trinity is displayed in John 3: God the Father, Creator of all, sends the Son into the world. Jesus, the Son of God and Redeemer, is lifted up on the cross for the sake of the world. The Spirit of God, the Sanctifier, blows through our lives bringing new life. When you hear “the Holy Trinity,” what do you think of? How would you explain the Trinity to a friend? 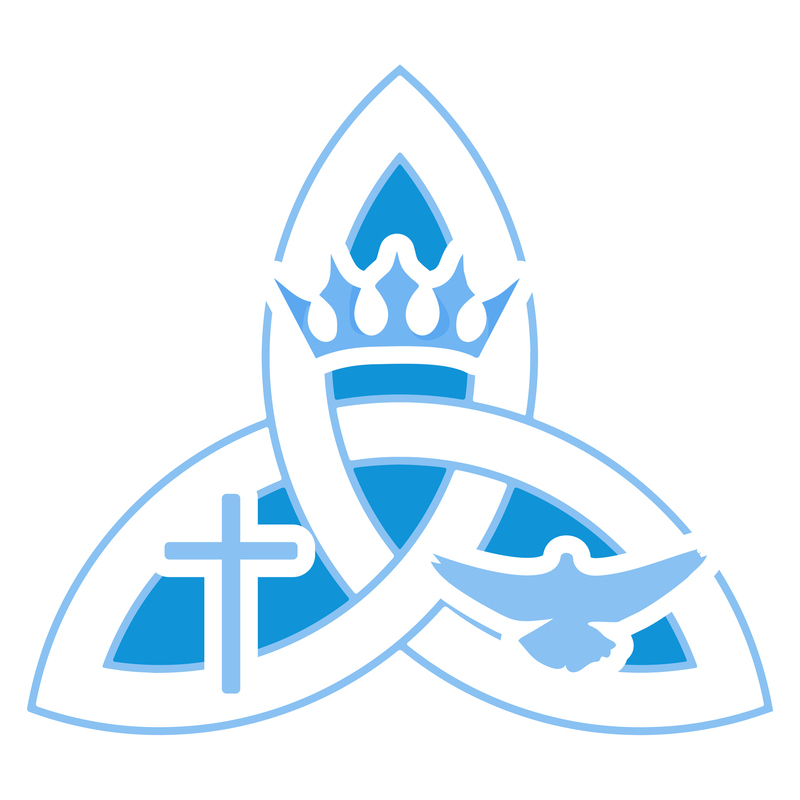 How has the Trinity been explained to you? When it comes to trying to understand the Trinity, do you think “mystery” is a helpful idea? Mystery as in, “The Trinity is something we cannot fully understand and we are okay with that.” Are you comfortable with mystery? Why or why not? Look over Martin Luther’s explanation of the Apostles’ Creed in the Small Catechism. Make a list of the ways in which God is “for us” as Creator, Redeemer, and Sanctifier. How does this help us to know the Triune God better? Watch the short video, “St. Patrick’s Bad Analogies.” You can find it at: https://www.youtube.com/watch?v=KQLfgaUoQCw Do any of the analogies that you’ve heard before appear in this clip? How can making God “understandable” through seemingly helpful images and analogies sometimes lead to unintended consequences? As the clip makes clear, every analogy has limits, is the definition which Patrick gives at the end of the clip better? Why or why not? Gracious and loving Trinity, through water and the Holy Spirit, you name us and claim us and make us your own. Thank you for the gift of new life and for the invitation to experience that life in the community of your church. In your love, call deeply to our hearts. Guide our thoughts and our understanding that we may come to know and love you as you reveal yourself to be, Father, Son, and Holy Spirit, one God now and forever. Amen. The post May 27, 2018–How Do You Know? appeared first on Faith Lens.